In recent years, the FM industry has extended its remit to take a more proactive role across a broader spectrum of activities. This has resulted in a wide range of risks that facilities managers need to be aware of, including contractor management, fire safety and workplace accidents. Poor standards or inadequate health and safety procedures could have significant implications and could reflect badly on the person who holds the responsibility for planning and managing the site, the business and any contractors. With revised sentencing guidelines in force and seven-figure fines becoming commonplace, FMs must view health and safety as a priority. So, how can you better protect your customers, your colleagues and your brand reputation? To download the free whitepaper click here. 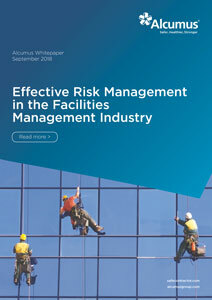 The post Whitepaper addresses key areas of risk FMs need to be aware of appeared first on FMJ.